Golf is a fickle game… particularly as an average amateur. I play with a handicap of 21, which means I am am only 21 shots from becoming a professional. Sounds so simple, right!? It also means on an average golfing day, I usually par a hole or two, likewise, I feel like snapping the clubs on a hole or two, the most fickle sport I love and hate within minutes! The reason I love to play golf is the way it manages to take my mind off the daily stresses. The way that every shot requires total focus and dedication is very important to me, it allows me to appreciate and think about what I am going to do. 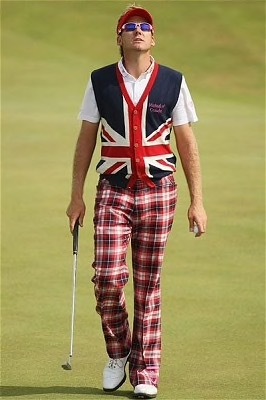 Golf also has a very strict etiquette and dress code, and unless you can play like Ian pointer, you probably won’t get away with dressing like him! “All the gear no idea” – A U.K. positive reinforcement! Fashion and golf go together like strawberries and cream; but is important to get the fashion right, particularly in winter. In the U.K., especially in the north, the weather can change dramatically so it’s important to prepare with your outfit. In a four hour round of golf this weekend (mid October), we went through every season of weather. The photo above was at 10am, but by noon, it was 17 degrees Celsius, better than most of our summer days! Checking the weather beforehand, I packed my waterproof jacket, however this restricts my swing sometimes, so I went for the jumper and gillet combo. I love gillet’s when playing golf, really flexible and very practicable. 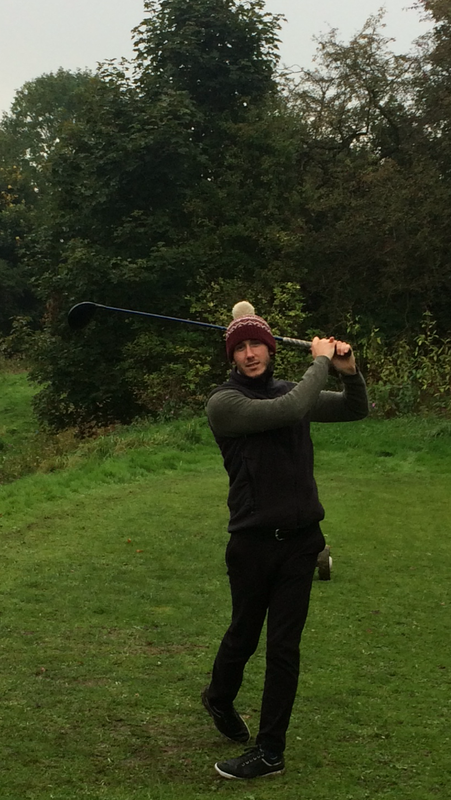 Here is a picture of me pretending to swing a driver, note there is no ball… and yes, I wore my silly wooly-bobbled golf hat…I want people to think I know what I am doing! 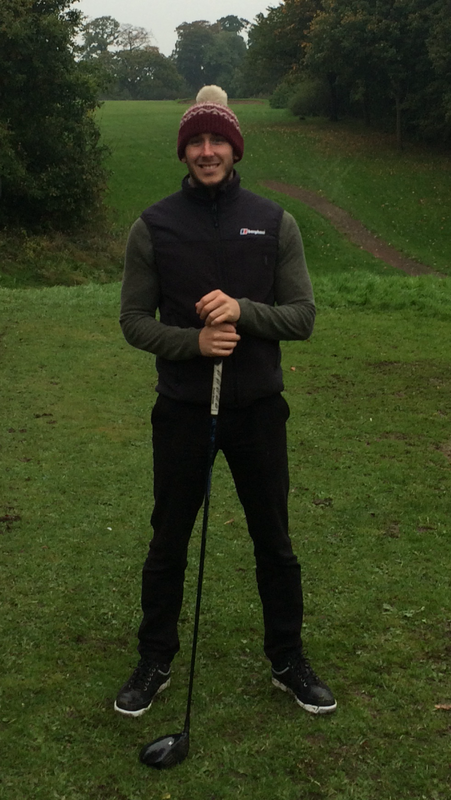 Send me your winter golfing fashion pics!